A peace corps trip gone awry resulted in a new adventure for a young American upstart - in the form of a fledgling social enterprise on the holiday island of Bali, writes Nadia Boyce in this week’s Spotlight on Social Enterprise. A peace corps trip gone awry resulted in a new adventure for a young American upstart – in the form of a fledgling social enterprise on the holiday island of Bali, writes Nadia Boyce in this week’s Spotlight on Social Enterprise. East Bali Cashews, providing targeted employment opportunities to Bali’s impoverished, is located in Desa Ban, in the island’s northeast – a world away from the bustling tourist hubs of the south. Drier and less fertile, this region is marked by a void of employment opportunities for women, along with issues of alcoholism, gambling, poor school attendance and poverty-related health problems. 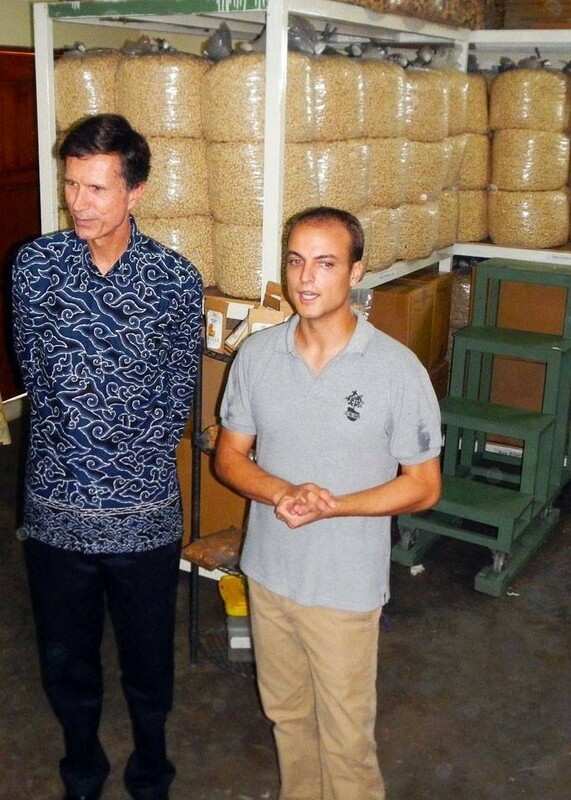 Founded by American Aaron Fishman, East Bali Cashews buys cashew nuts direct from farmers and process directly in the village, aiming to empower women through employment and education and teach farmers to improve their soil and maximise their production. The Desa Ban factory was one the first large-scale cashew processing facilities in Bali and one of the first village-based facilities in Southeast Asia. Speaking from rural Bali over a stuttering Skype connection, Fishman told Pro Bono Australia News of his hopes for the future and the challenges he has faced in building his social enterprise – a world away from the United States. Fishman, a paramedic from the United States, found himself in Bali after plans to volunteer with the Peace Corp in Botswana fell through. Along with his wife, he began volunteering at an NGO. 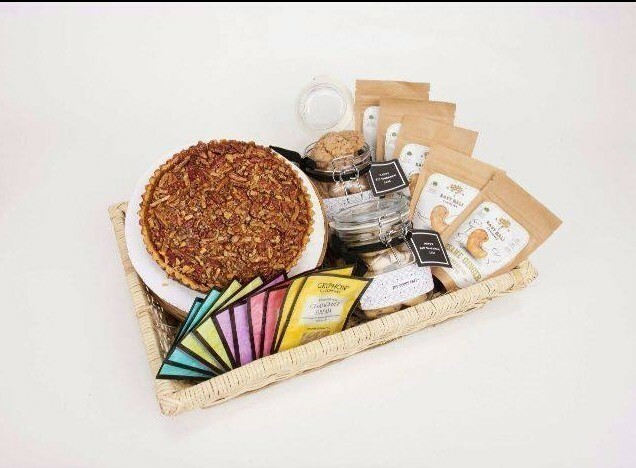 Most commonly, Indonesia's cashews are exported to India or Vietnam for processing. Fishman says Bali’s cashew-growing communities are some of the poorest in Indonesia, with less-than-desirable soil and lack of employment opportunities. “The first year…I didn’t really know anything about processing cashews. We started importing some machines from Sri Lanka, we started experimenting, and we were trying to raise money wherever we could, from credit card loans, to angel investors,” he says. “The second year we did another round of fundraising, and we’re actually doing our third round right now. “The short term goal is just to provide employment in rural areas. We have around 250 employees right now, and around eighty-something percent are women. The next goal is how to scale this prototype. Currently we process around ? of 1 per cent of indonesia’s cashews, so almost nothing. Now we would like to begin scaling. The strategy of East Bali Cashews is to reduce poverty through sustainable improvements in community development rather than through handouts and free aid. Fishman developed his model for empowerment with the goal of creating jobs to engage the community, complemented with training to motivate emerging leaders and education to expand opportunities. “These are people who have never had a job before. They are rural farmers, so their incomes were about a dollar a day before they started working with us,” he says. “There’s a bunch of situations associated with having not that much money. You have nutritional issues, you have health issues, educational issues, food security issues – a whole bunch of ‘quality of life’ issues that some people might address with social programs. “We think that if we give them a decent wage, they can work it out themselves. They can get water for their community, they can send their kids to school, they can afford medications and health insurance, and all those things that we have in the developed world. Fishman says his model could be suitable in a range of geographic contexts – limited only by the willingness of companies to embrace local processing. “Processing agricultural products as close to the source of production is a very valid model for the whole of South-East Asia. But larger corporations or existing businesses might not want to do it because it’s much more difficult. Starting a factory in a rural area is hard,” he says. “Social enterprise still for me is very difficult. There’s a lot of talk about it, a lot of noise, but I don’t think the action has so far been where it’s supposed to be. People love the idea. For us, despite having very good resources and very good connections, all our assistance so far has been of a business nature. There’s been no ‘social enterprise’ assistance for us. Yet he says that an enterprise model of assistance is often more effective than aid. “It’s not about where you’re from, it’s about what is your incentive to make a good program. If I do a very bad job at running a cashew factory, my business will be bankrupt and I’ll lose all my money. If an NGO worker does a very bad job with an aid program, they’ll probably still have their job the next year and might even get a raise. There’s no incentive for them… business has a built in incentive,” he says. Fishman is now looking to grow the business further. In its first year, the organisation processed 140 tonnes. That has now risen to 900 tonnes, and Fishman forecasts 2000 tonnes in the coming year. “We've doubled and tripled our production this year. We’re expanding as fast as possible. We’re everywhere – from supermarkets, to minimarts, to hotels to duty-free. Our product is priced very fairly, the story’s great. It’s not really rocket science to sell it,” he says. “People here are a little bit more forgiving if we make a mistake. The sophistication and salesmanship ability maybe isn’t the same but the market is quite good. Indonesians and tourists love to snack. Cashew nuts are a pretty easy-to-sell product. Recently, Impact Investment Exchange Asia (IIX), a Singapore-based investment platform for social enterprises, did a social impact analysis of the organisation, where they analysed the financials and the industry, created a business plan and a road map for approaching investors for working capital, and provided advice. “Fundraising – that’s the biggest challenge. Secondary is in finding employees for skilled positions. We’re really, really remote so to find accounting skills, marketing skills, that’s really difficult,” he says. The principles that underlie his model are universal, Fishman says. “My general philosophy is that people are people are pretty much the same all around the world. Everyone wants to have a job and provide a living for their family,” he says. It is clear he has no regrets. “I’ve had a blast. I’m very blessed to work with a great team, a great company, good investors. It’s been great,” he says.